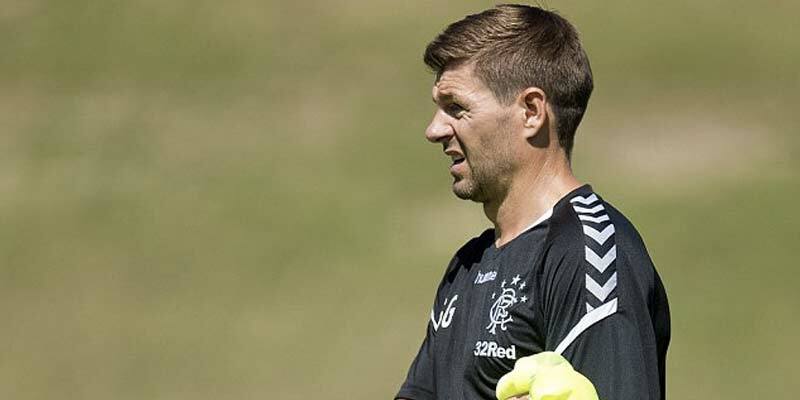 RANGERS have come a long way in Europe under Steven Gerrard but could be sunk by the Yellow Submarine on Thursday. Making the Europa League groups was a good achievement but Gers haven't faced a side anywhere near the quality of Villarreal. Okay, they don't look as good as past sides but have quality players in their line-up such as Carlos Bacca, Gerard Moreno and Santi Cazorla. Villarreal have made a poor start to La Liga with four points from four games but are usually strong at El Madrigal. My only complaint is the prices with the Spaniards no bigger than 1-3 at Betfred – and that's been lengthened. Optimistic Gers fans will back their team at a biggest 21-2 with Marathonbet and at the end of the day Gerrard's only defeat was 1-0 to Celtic. Rangers not to lose is 13-5 at McBookie. Gers fans will back their team at a biggest 21-2 with Marathonbet. Rangers not to lose is 13-5 at McBookie. It’s good to hear Gerrard has identified weaknesses in the opposition, who are missing several midfielders, and he says he and won’t sit back. Gers can score if they commit men forward and I’m taking a chance on both to net at 5-4 with William Hill. Colombian ace Bacca is my pick to score first at 15-4 with bet365 while he is 13-12 at Unibet to net at any time. With Alfredo Morelos banned Gers will look to Kyle Lafferty who is 21-5 at Unibet to score. Celtic face familiar opposition after beating Rosenborg in the Champions League qualifiers. Their 3-1 win at Parkhead was more emphatic than the scorelines suggests and I'm backing them again at 1-2 with Ladbrokes. To win by at least two Brendan Rodgers's side are 7-5 with Paddy Power and another 3-1 pays 12-1 at McBookie. Both to score has a chance at 23-25 at Marathonbet. It was Odsonne Edouard who was the hero back in August with two goals and the Frenchman is 3-1 at Sky Bet to net first if he makes his comeback after injury and evens to score. Chelsea have started the season with five wins under Maurizio Sarri but face a tough test away to PAOK. Sarri has confirmed Alvaro Morata will replace Olivier Giroud as the attacking spearhead for this game while either Pedro or more likely Eden Hazard will be rested but his squad is deep enough to give this a go. The Blues are no bigger than 4-5 at Betfred and it's a little short for a tricky trip. All five of their matches have gone over 2.5 goals while PAOK netted in all of their games this season so both to score at 10-11 with 10BET. Not surprisingly Arsenal are even shorter at home to Ukraine side Vorskla with Betfred going a best 1-8. Unai Emery is expected to field a strong side and the Gunners should win with plenty to spare so consider the home men -2 at 19-20 with Betway.